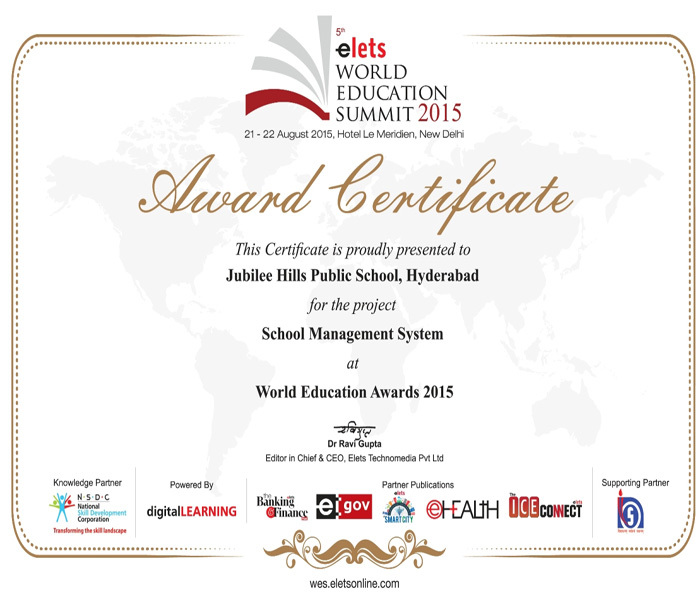 Jubilee Hills Public School added another feather to its cap by winning yet another award for the project ‘Use of ICT in School Management’ presented by ‘Digital LEARNING Magazine’. 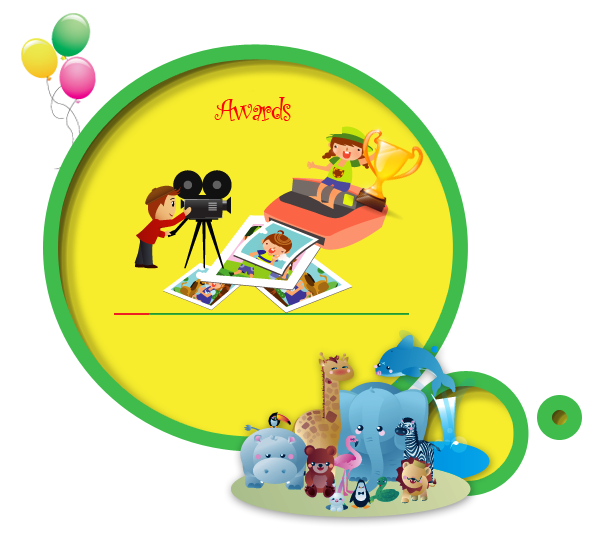 The award was received by the Headmistress for the Primary and Pre – Primary Section, Ms. Sonia Nagpal. The World Education Summit 2015, had Education Policy Makers, Ministers, Secretaries and Principals join for discussions, debates and deliberations under one roof. The Summit was an opportunity to showcase and learn the best practices in teaching, learning and training, the use of ICT in School Management, the role of Preschools in today’s education system. The highlight was the power session by the Deputy Chief Minister of Delhi, Mr. Manish Sisodia, on the importance of Skill Development Education so that today’s youth is employed and self- sufficient.